My wife and I have just moved to a new house in a village near Evesham. Throughout our lives we have always lived in towns or cities, so we thought…why not try village life? It’s probably because of programmes on the telly such as, ‘Escape to the Country’ that romanticises the rural idyll. Watch this space for updates. I’m telling you this because the heating in our new lounge is a log burner. Being a ‘Townie’, I’ve never had a log burner before. What do you do to get decent heat out of a log burner? I simply did what everyone does these days and…‘Google’ it. After a bit of research, I ordered some logs and asked Nigel, the delivery guy, what his advice was for the perfect fire. I lit my first fire last night and it was a great success…we were as warm as toast. • Good quality firewood is the key factor to have a clean burning fire. The wood needs to be dry and well-seasoned. Green (or damp) wood is a no-no, this just creates loads of smoke, pollutes the air and generates soot that clogs your chimney. 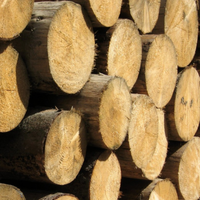 • Freshly cut wood needs to be stored for 8 to 12 months to allow it to season properly for optimum burning. Stack it loosely off the ground in a crisscross pattern so that dry air can circulate around it. • For best results store seasoned wood in a dry place with the top covered. • Check the moisture content of each log with a moisture meter (quite cheap off eBay) – don’t burn if moisture is greater than 20%. Less damp the better, really. • Start the fire with paper, dry kindling and/or some firelighters. • Burn your fire bright and hot…a smouldering fire creates more smoke and less heat. • After starting the fire leave the air controls open for at least 30 minutes. This helps build up a high temperature, which encourages the wood to burn well and give off more heat. • Extended periods of smoky emissions occur if you turn down the air supply and reduce the amount of air getting into the firebox. • Keep the fire burning brightly. • Burn two or three smaller logs rather than trying to burn a single, large log. • Initially, keep the air control open for at least 30 minutes. • Similarly, when logs are added, open up the air control to high for at least 20 - 30 minutes, before turning down. • Be careful not to block the air supply to the base of the fire with a badly positioned log. • Don’t damp the fire down. • Let your fire burn out overnight. • Regularly remove ashes from the burner or fireplace. Store them outside in a covered metal container, in a safe area away from the side of the house to avoid creating a fire hazard. • If the glass front on your wood burner is coated with soot, it means you are not burning your fire hot enough. N.B. Please do not burn rubbish in the fire. I hope that this short guide helps you to achieve a hearth-warming inner glow. Incidentally, whilst setting my fire I became aware that I didn’t have the correct tools to do the job. Where can I buy buckets, scuttles, fire screens, companion sets, accessories…including pokers, shovels, brush and shovel sets, matchstick holders and matches? There is an excellent and great value fireside range, at Brilliant Wall Art, which will certainly keep you as warm as toast. Our fireside accessories feature essential items to furnish the perfect fireplace. 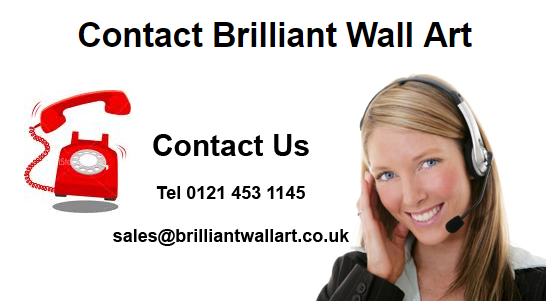 Whether communal or residential, Brilliant Wall Art will ensure that the perfect fire is maintained. Our popular accessories include our fire companion sets, fireplace screens, fire pokers, fireside accessories, decorative fire screens, fire bellows, coal buckets and shovels, that will easily facilitate a nice, warm fire. Why not spend a few minutes browsing our website, before visiting our market stall. As I said our fireside range is superb. You can view these products online…buckets, scuttles, fire screens, companion sets and numerous accessories including pokers, shovels, brush and shovel sets, matchstick holders and matches. We offer a myriad of other wall art products and ideas. We have many metal wall art items, all of which are carefully crafted from metal and easy for you to wall mount. They range from metal wall art flowers, trees, fish, sailing yachts, lizards, painted glass, candle sticks, clocks etc.…you will be spoilt for choice.